Aberrant activation of the NOD-like receptor (NLR) family, pyrin domain-containing protein 3 (NLRP3) inflammasome, triggers a pathogenic inflammatory response in many inherited neurodegenerative disorders. Inflammation has recently been associated with valosin-containing protein (VCP)-associated diseases, caused by missense mutations in the VCP gene. This prompted us to investigate whether NLRP3 inflammasome plays a role in VCP-associated diseases, which classically affects the muscles, bones, and brain. 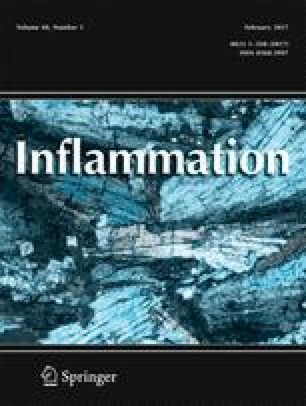 In this report, we demonstrate (i) an elevated activation of the NLRP3 inflammasome in VCP myoblasts, derived from induced pluripotent stem cells (iPSCs) of VCP patients, which was significantly decreased following in vitro treatment with the MCC950, a potent and specific inhibitor of NLRP3 inflammasome; (ii) a significant increase in the expression of NLRP3, caspase 1, IL-1β, and IL-18 in the quadriceps muscles of VCPR155H/+ heterozygote mice, an experimental mouse model that has many clinical features of human VCP-associated myopathy; (iii) a significant increase of number of IL-1β(+)F4/80(+)Ly6C(+) inflammatory macrophages that infiltrate the muscles of VCPR155H/+ mice; (iv) NLRP3 inflammasome activation and accumulation IL-1β(+)F4/80(+)Ly6C(+) macrophages positively correlated with high expression of TDP-43 and p62/SQSTM1 markers of VCP pathology in damaged muscle; and (v) treatment of VCPR155H/+ mice with MCC950 inhibitor suppressed activation of NLRP3 inflammasome, reduced the F4/80(+)Ly6C(+)IL-1β(+) macrophage infiltrates in the muscle, and significantly ameliorated muscle strength. Together, these results suggest that (i) NLRP3 inflammasome and local IL-1β(+)F4/80(+)Ly6C(+) inflammatory macrophages contribute to pathogenesis of VCP-associated myopathy and (ii) identified MCC950 specific inhibitor of the NLRP3 inflammasome with promising therapeutic potential for the treatment of VCP-associated myopathy. This work is supported by Public Health Service research grants from National Institutes of Health/NIAMS R56AR066970 (VEK) and EY14900, EY019896, and EY024618 (LBM). The authors would like to thank the patients for providing the muscle biopsies used in this study, Dr. John R. Lukens, Department of Immunology, St Jude Children’s Research Hospital, Memphis, TN 38105, USA, and Vivien l Maltez, University of North Carolina at Chapel Hill, Department of Microbiology and Immunology for the help with inflammasome experiments and critical discussion.